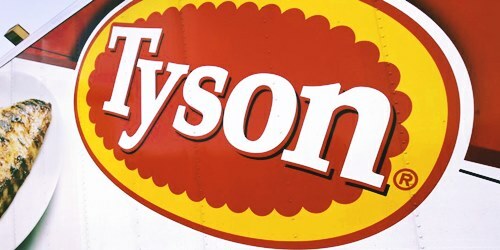 The largest meatpacker in the United States, Tyson Foods, announced on Monday that it has purchased Tecumseh Farms, the company providing quality air-chilled chicken under the brand Smart Chicken. The company believes this endeavor will give them a strategic boost in the organic food industry which is garnering more customers every year. Though the terms regarding this deal were not revealed by any party involved, Tyson Foods has declared that it will operate Smart Chicken as a wholly owned subsidiary while retaining its 600-employee workforce at Tecumseh, Waverly and other live-chicken operations in southeast Nebraska. This will add to the already strong portfolio of Tyson Food’s organic products which include the brands NatureRaised Farms and Aidells. As per records, Smart Chicken is sold in thousands of stores spanning nearly all the fifty states in the U.S. A recent report by the Wall Street Journal estimated profits of $40 million to be earned by Tecumseh Farms this year with sales anticipated to reach $170 million. A source at Tecumseh farms stated confidently that Tyson Foods has the resources needed to propel the Smart Chicken brand even further. The group president for poultry at Tyson Foods, Doug Ramsey, complimented the efficient management of Tecumseh Farms and its strong consumer loyalty. He cited the growth that Smart Chicken will achieve with continuous production of quality chicken combined with the scale and resources that Tyson Foods has to offer. Another source at Tyson Foods also emphasized on the growing inclination of consumers towards fresh and organic food suitable to their lifestyle. Nielsen Perishables released a date according to which sales of organic fresh chicken grew 8.6% from 2016 to 2017, four times more than the traditionally raised poultry. As per experts, the evident growth in this segment proves that the acquisition of Tecumseh Farms will strengthen Tyson Food’s position as the world’s foremost organic chicken supplier.